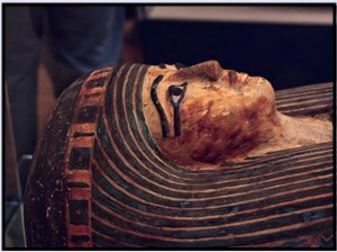 Egypt Burial Practices & the Afterlife Activity - HISTORY'S HISTORIESYou are history. We are the future. As early as 6000 BCE the Chinchorro indians living in what is now Chile and southern Peru practiced elaborate mummification techniques. While it’s easy to associate mummies with ancient Egypt, peoples around the world have mummified the dead as part of their burial practices. In fact, mummification has been practiced by cultures on every continent. For this activity, you will conduct a science experiment, comparing two different methods of mummification. At the crossroads of east and west and situated along the ancient Silk Road that connected China to countries around the Mediterranean, mummification in the Tarim Basin was achieved with a process that very much resembles modern day freeze-drying. Meanwhile, the people of ancient Egypt, as you know, used natron, a form of salt, to embalm and mummify their dead. For this experiment, you will freeze dry and embalm apple slices at home and record your observations. The activity will take 5-7 days to complete. To the right are mummies found in the Tarim Basin, Xinjiang Province, China. While the mummification process was different than that which was used by the Egyptians, it's clear that Tarim basin mummies were well-preserved. Graveyards in the Tarim Basin contain many similar mummies, young and old, that show equally great care in burial and preservation. The Tarim Basin method of mummification most closely follows a modern freeze dry method. 1. Slice an apple into paper-thin slices. 2. After slicing the apple into the thinnest slices possible, arrange the apple slices onto the rack or tray that you'll use for drying and put them in the freezer. Complete this step quickly or else the apple slices will discolor. 3. Wait one half hour, then look at the apples. You can touch them, but don't remove them from the freezer. 4. Record your observations on your worksheet. 5. Each day throughout the week, look at the apple slices and record daily observations on your worksheet. After one week, the water in the slices should be released as water vapor, instead of melting. After a week or so (depending on the temperature of the freezer and how thick the slices are), the slices should be completely dry. To test your apple for complete drying, take one slice out and let it thaw. If it is not completely dry, it will turn black almost immediately. If that happens, put the slices back in the freezer for more dry time. 6. When all of the slices are completely dry, they can be “reconstituted.” Put the apple slices in a mug and add ¼ cup of boiling water. Then, record observations on your worksheet. 7. After you have reconstituted your apple slice(s), try eating one or two. Record your reactions on the worksheet. 1. Cut an apple into four equal sections. Only two sections of the apple are needed for the experiment. 2. You will record your observations for each apple section and you will predict each apple section’s appearance outcome as a result of the experiment. 4. Submerge one section of the apple into the natron mixture. Then, place the bowl aside. 5. Place another cut section of the apple into a Ziplock bag without natron. This is the “control” apple. 6. On a daily basis, for the next four class days, put on disposable gloves and remove the apple from the natron. Record your observations on the worksheet. Which method is a natural process? Which method involved chemicals? Which method is more like the process the ancient Egyptians used to preserve their dead? Which method retained the natural appearance of an apple the best?